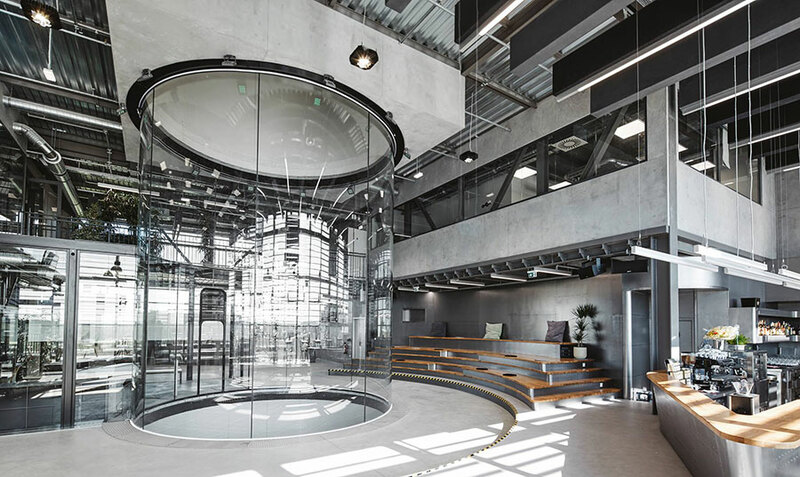 This beautiful wind tunnel in Berlin is the city's first indoor skydiving center. The wind tunnel is also one of the largest on the globe at a 17 ft - 5.2 m chamber diameter. Skydivers, proflyers, and first time flyers will all enjoy the smooth, climate controlled airflow and impressive hosting space. The spectator area features a welcoming lounge, bar, cafe and multi level hosting facilities. Nice tunnel, friendly staff, tasty food. I had time and a chance to get training with chief instructor Jakub. He is a really pleasant man and a very good teacher. He had the patience to fix me all time. The use of tunnel time was very effective. I strongly recommend this a 17-ft tunnel. It's very spacious even when learning two pro flyers such as basic transitions. Tunnel location is super near to the Schonefeld airport and tunnel equipment and space is very comfortable. I was pleasantly surprised by the restaurant, bistro style.